As you’ll have noticed when you phone call centers, visit the bank, or deal with the government in any capacity, bureaucracy can make organizations slow and frustrating to deal with. Endless forms and complex layers of approval impact a company’s services along with the morale of its employees. It can leave organizations unable to adapt to new market pressures or external threats. The UK Home Office, during the Windrush Scandal, ended up wrongly deporting many people who came to Britain after the Second World War from the Caribbean. It was exposed that these people were being wrongly deported yet deportations and other negative effects continued, as illustrated by The Guardian. The organization failed to respond adequately, and a scandal was born. Despite all this, large organizations in our society – whether they’re governments or big business – aren’t just going to go away. Instead they need to find ways to adapt and improve while retaining the benefits which pushed them to develop complex bureaucratic structures in the first place. The big question is: how do you manage operations within a bureaucratic organization so that it can run with the agility of a startup? The German sociologist Max Weber of The Protestant Ethic and the Spirit of Capitalism fame describes bureaucracy as an iron cage. This depiction is echoed in the alienated themes of Kafka, and the more surgical analyses of The Frankfurt School. Yet, we’re not here to jump on bureaucracy and write an existential tome about alienation. Bureaucracy exists because it is often necessary. Bureaucracy can enforce transparency, due process, and adherence to best practices. It can also have more tangential benefits like reducing goal ambiguity; giving workers clearer ideas of what they are expected to do and to not do. Through these mechanisms, bureaucracy can protect both workers and organizations alike. Or in the case of governments, the accountability ideally enforced by bureaucracy can be used to hold people accountable. But it doesn’t always work like this in theory. Uthayasankar Sivarajah and Vishanth Weerakkody, in their paper in Government Information Quarterly, summarized in the London School of Economics, look at the inability for diplomats and foreign service government departments to adapt to the increase in technology to take advantage of e-diplomacy. As someone who has previously been involved in the tech side of Ecuadorian consulate efforts – long story, don’t ask – I felt this paper resonate with me. Although staff and diplomats in foreign missions have been using email and social media for several years, these efforts have been very measured and sometimes constrained within virtual private networks due to fear of security and confidentiality breaches. As such, risk avoidance and resistance to change have impeded the widespread adoption of e-diplomacy and prevented foreign missions from keeping pace with the advancement of digital technologies. These government operations simply aren’t keeping track with what’s going on in society around them. The interesting thing about this analysis, in my view, is that these are mainly not practical concerns. A lack of awareness or training is a practical concern, but trust, acceptance, and a general resistance to change are simply reflections of norms which have been baked into the organization. Economic concerns, competitive advantages, risk, and technological capabilities are all factors which appear further down this list; less important and restrictive than these top 5. The thing holding back governmental organizations is not benefit, price, or other practical concerns, but instead the culture generated within this kind of bureaucratic organization. And this, dear reader, is exactly what I hope we will explore! Good code is crucial to the smooth running of a society. And writing good code is increasingly the work of large teams. Yet such teams often sink into mediocrity because their size alone can breed bureaucracy and sterility. The challenge for every large team is to organize its diverse talents while encouraging leadership and flexibility. Large organizations like governments or big businesses can fail to achieve efficiency sometimes because the layers of action required to get something done are so numerous. Other times, efficiency may be down to ineffective systems or underfunded departments. An efficient and effective organization should also be self-critical; able to identify and seek to resolve these kinds of problems. The World Economic Forum creates rankings for efficiency of governments. It uses a measure of efficiency which seeks to balance the wastefulness of government spending, the burden of regulation, and the transparency of policy making. According to its 2014 report, these were the most efficient and least efficient governments. The 2018 report doesn’t cover the exact same info, but you can find it here anyway: The Global Competitiveness Report. Some would argue that there are issues in the WEF’s methodology but, nonetheless, we should accept that there is a broad trend across the report from bottom to top which likely bears accurate resemblance with reality. So why are some countries more efficient than others? But we don’t really see much of the most competitive nations on these lists. Switzerland, United States, Netherlands, Germany. All members of the reports’ top 5 which don’t appear on here. Partly because some economies are focused on efficiency while others aren’t. Some economies are factor driven, which means they’re putting effort into investing in infrastructure, health, and education. Others are innovation driven, highlighting business sophistication and innovation in terms of research, production, and adoption. When it comes to efficiency and what tends to make certain countries’ governments efficient and others not, we can look at the 2008 study Determinants of Government Efficiency by David Hauner and Annette J Kyobe – which you can access via the IMF working paper. The broad theme suggests that rich countries tend to be more efficient, but that spending a higher proportion of GDP on public services tends to also be associated with lower efficiency. So maybe rich countries are just pretty institutionally efficient and reap the rewards of generational excellence in education and other factors like infrastructure? While countries which are happy to spend larger amounts on public services are societies where less pressure is placed on those services to be efficient? First, the strong evidence that efficiency declines with the level of spending, and that, at least in education, there is not even a significant relationship between performance and spending, highlight what should be commonly accepted wisdom but is often ignored in policymaking: throwing money at problems, particularly in the education and health sectors that we studied here, often fails to yield the expected improvement in public services if not bolstered by efficiency-increasing policies. Second, the benefits of improving institutions extend from economic growth and financial development, to government efficiency. 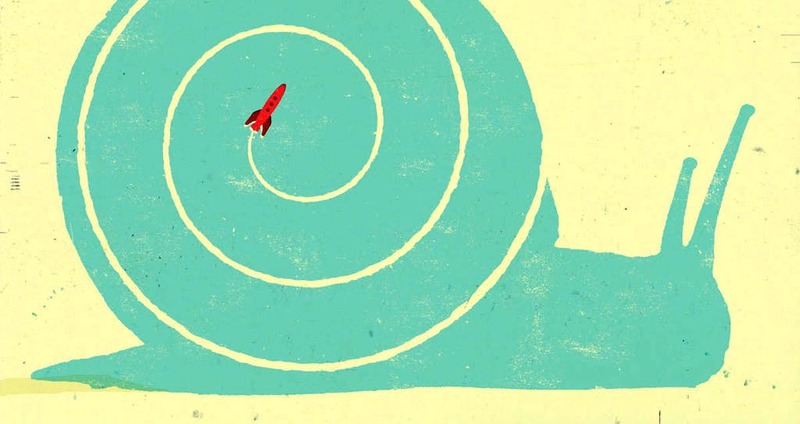 It tells us partly that efficiency is like a cycle. If measures are taken to improve efficiency then those departments become more efficient, which then leads to knock-on effects of greater efficiency. Money alone doesn’t make efficiency. It’s up to us to aim for efficiency. And this is important as this Deloitte paper, Government Efficiency, makes clear that the current trend appears to be away from efficiency. …reviews of government production costs and productivity in OECD countries indicate that governments may be getting less efficient over time. The report by Deloitte also discourages away from organizations using efficiency as a cost-cutting mechanism. Instead encouraging governments, in this case the UAE, to implement efficiency to improve value and output. And it’s not just governments which suffer at the hands of bureaucracy getting in the way of efficiency. In a previous article of mine on monopolies, I looked at examples like the East India Trading Company and other monoliths of their ages, finding that many of them collapsed under their own size and inability to adapt and be agile. Or, in an article I wrote explaining process management, I called upon the very recent example of Zenefits to show how large organizations can get it all wrong. It wasn’t that Zenefits was bogged down in bureaucracy, but that it had bad bureaucracy which achieved all the wrong things. The result was mass job losses and huge fines. 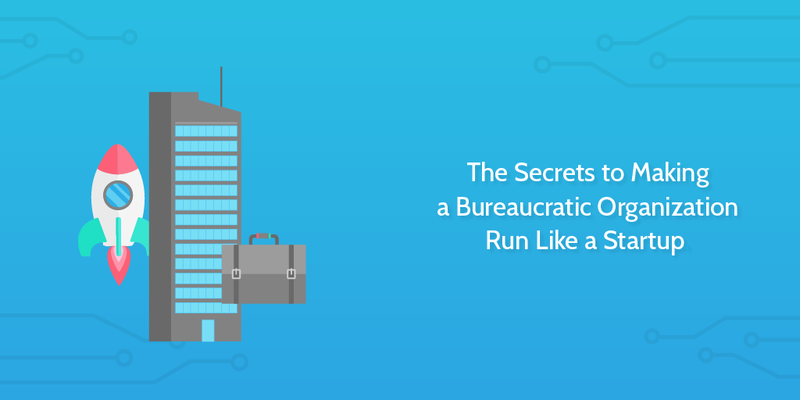 We’ve pretty much outlined some of the challenges facing large bureaucratic organizations. But is it possible to go radical, do something different, and break free from elements of bureaucratic organization itself? We have 4 interesting examples of large organizations trying something new to show you, though. Whether new technology, new structures, new forms of communication or new distributions of power, these examples provide some mainstream and radical attempts to upturn the problem. The Estonian government has been testing the blockchain since 2008, even before the Bitcoin whitepaper coined the term. Blockchain technology has been in production use since 2012 and is used to provide security, transparency, and increased citizen control of data and data usage. Estonia has flown into the digital age and even offers e-citizenship. The New Yorker piece, Estonia, the Digital Democracy, by Nathan Heller is a fantastic insight into a country which is taking a startup approach to governance. Estonia’s willingness to adopt technology and trial new ways of conceiving the modern nation state sets it apart from other governments. There’s an element of risk in this approach, but Estonia is pushing the boundaries of public service provision and some of the outcomes look good. Citizens have digital rights and have a dashboard where they can control their own data. Instead of having bureaucrats to determine what data can be shared with which department, the responsibility is delegated to the individual themselves. These kind of approaches can appear to cut out the middleman and hand control over to the citizen, but we’re in the early days still so we’ll have to wait and see how progress goes. 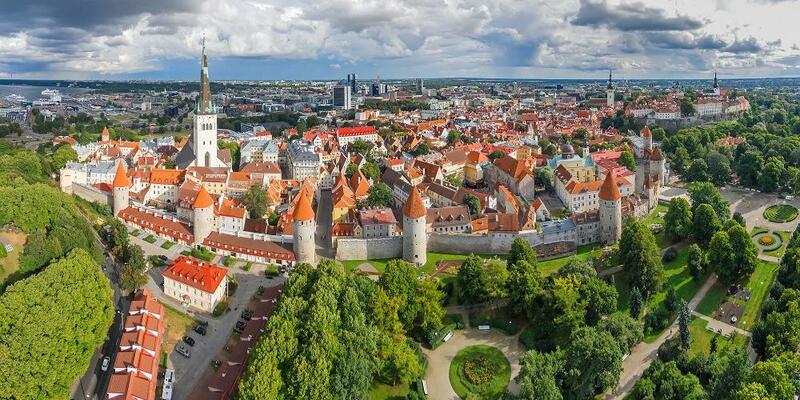 It’s hard to make too many early judgments on Estonia as these changes take a while to settle in, and the economic performance of other Scandinavian countries is a major cause of Estonian performance, being one of the smaller countries in the region. In a previous article of mine on organizational structure, I looked at 4 startups who were doing things a little differently. One of the prime candidates for inclusion was Zappos. The company completely threw out convention and decided to do things in its own way. Zappos CEO Tony Hsieh reckoned that this trend had something to do with unleashing the potential of individuals to create and contribute. The idea is that people in a city act in a more entrepreneurial way than employees in a company do. The seeming chaos of a city actually produces productivity improvements, so why not implement that in a company? Now, I am all for utopian efforts and worker empowerment. But I do think Zappos’ restructure is based on a flawed premise. Cities and companies are different. Comparing the two in this manner creates an ontological issue which eats away at the usefulness of the comparison. I go into more detail in the conclusion of my original article. 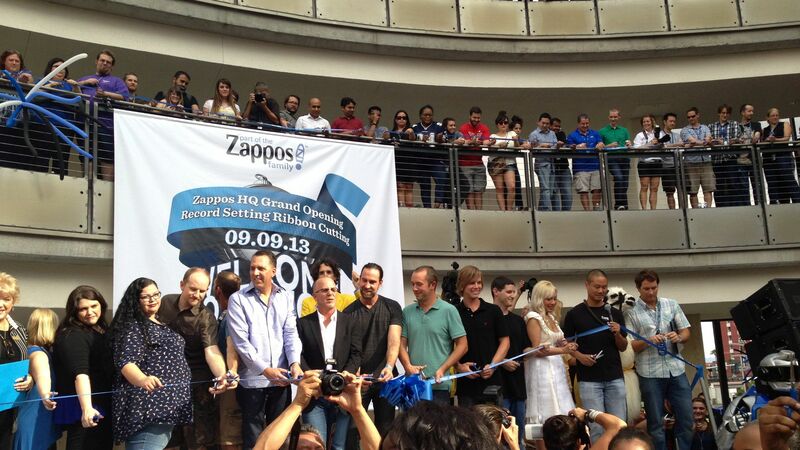 Nonetheless, Zappos appears to be doing pretty well at the moment. Employee turnover rates are at record lows and business performance is good. Plus, Zappos is owned by Amazon anyway, so it’ll be fine. The key point though, it that it is doing fine currently despite shedding its management staff and focusing on self-organization. It’s managed to bypass bureaucracy by just getting rid of it. In 2015 Google started Alphabet as a kind of holding company for Google, and a host of other companies, to exist under. The move to create a holding company for other companies to exist under is a way of granting independence to those ventures, and to reduce the stages of approval needed to get things done. This break up of organizations into smaller constituent parts is a way to hand autonomy to areas of the business which are conceptually different. This allows a large company to run in a more agile way. It does it by turning itself into a series of interconnected small companies with guidance and oversight, rather than instruction and command, from above. In an article of mine on how a hedge fund works, I looked at the brainchild of Ray Dalio; his company Bridgewater Associates. Dalio has pushed forward with an organization which deviates from traditional modes of organization. There are key concepts like Radical Truth and Radical Transparency which operate in the business. In practice, this means people can verbally joust out decisions. If you can make the case that you are right and your senior in the company is wrong, then you will be listened to. There’s nothing hugely radical about that on the surface, but the level of effort inputted to create this self-critical truth-striving company culture means that this kind of interaction is a more regular occurrence than at other companies. It’s one thing to know that you can challenge your boss in theory – it’s another to be encouraged to challenge them, and for staff to hold their managers accountable through grilling and discourse. This hyper-critical approach stops Bridgewater Associates from getting too comfortable. When we talk about operating like a startup, one of the things a startup is always doing is trying to find out when its assumptions are right or wrong. Startups are constantly trying new things so they always need to validate ideas and then test those ideas further as they try to optimize them. There are always new things to question and challenge, and there’s a kind of accepted environment where people admit we may not have all the answers at this point. This is in direct opposition to what the London School of Economics paper at the beginning of this article described about government operations: the primary factor holding back progression was a resistance to change; a fundamental culture of acceptance – a kind of Panglossian perspective on internal organization. Bridgewater Associates is one of the biggest hedge funds in the world after being started by Dalio in 1975. If the emphasis on radical company culture keeps Bridgewater Associates at the top of its game, then perhaps there are lessons other large organizations can learn from it also. You might question the fundamental premise of this article. Namely, that a big company should run like a startup. And I would partly agree with you. A big company should run a lot better than your typical startup. But startups tend to be pretty agile, reflexive, and adaptive while striving to make their staff feel wanted and happy. This self-critical approach where a company is looking to both build a good product and build a good organization leads to many positives, and these positive elements are the ones we’d like to see in the largest of organizations. And it’s not just me who thinks big companies should be agile. The basis of the modern agile approach was born out of the creation of the early software giants. These companies needed new ways to operate in order to create the massive projects they were committed to. Unlike traditional production lines where you need to build a small product many times, companies like Microsoft had to build one super huge product – an operating system – and have millions and millions of people be able to use it. Eat your own dogfood. Use your products and services. In large organizations people can often stray from the product or end user. Maintain a strategic oversight. While everyone at Microsoft was scurrying around writing code, the architects were checking direction from above. Not tight micromanagement, but solid strategy. Processes should facilitate people. A process shouldn’t be a constraint. It should serve to make a job better or easier. Effort should be made not to stifle individual creativity or innovation. To finish off we’ll give you 4 more basic recommendations which we believe are well-suited to the needs of modern bureaucratic organizations. Breaking into small teams or task forces is a popular way to implant a degree of startup organization into a larger body. These task forces can then self-organize using methodologies like Scrum or other agile approaches. 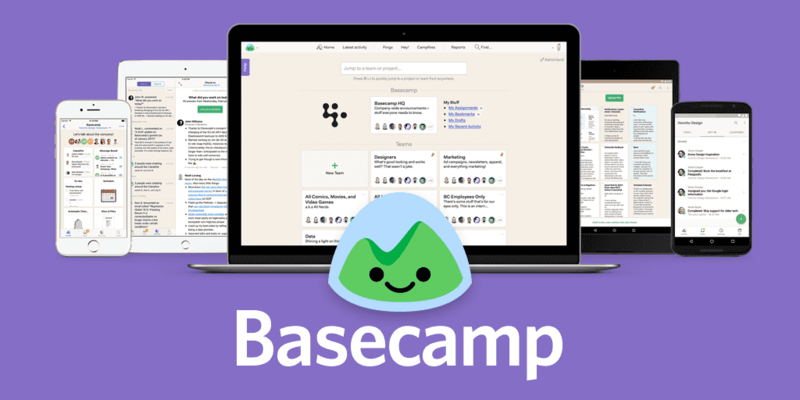 In its experiment with organizational change, Buffer got rid of all conventions and brought in new ways of working. It didn’t all work out. Buffer eventually went back to incorporating elements of hierarchy, but its experiments with team based working stayed. Looking back on the period, this task force mode of operating is one of the real successes of the company’s restructuring. Drafting solid company policy is a surprisingly beneficial move for an organization. Large companies typically have reams and reams of policy, yet having it just exist isn’t the end goal. The point is to make accessible inspiring handbooks – this way people read them and adhere to them. Don’t write for lawyers, write for people. An agile and self-critical organization needs to have ways of measuring and understanding itself. It’s my fundamental view that having an analytics team or department is a wholly flawed endeavor. Instead, organizations should create a culture of analytics where people are able and willing to analyse their own data and a team data leader with specialist knowledge can provide guidance, oversight, and further depth. 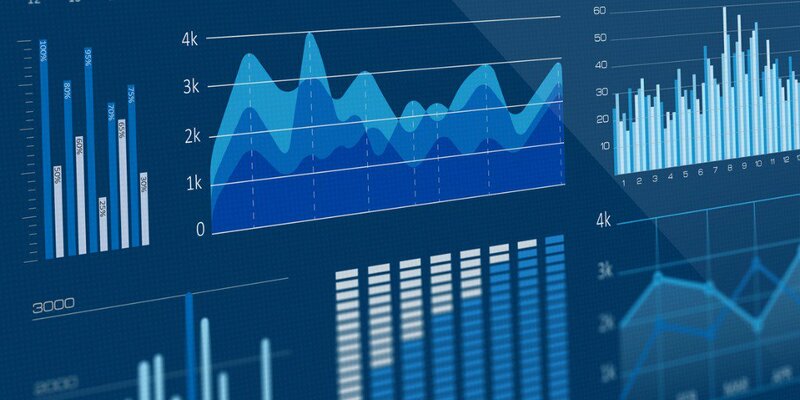 McKinsey provides a very good long write up of how you can begin to embed data and analytics into the core of your business here in the article Making data analytics work for you—instead of the other way around. Forgive me for this one, as I’m making the topic sound more simplified than it is, and deciding what the right answer is for different kinds of organizations is tough. After pulling together articles about enabling two factor authentication and comparing password managers, I’ve had security on the mind! Through reading a great deal over these past few weeks it seems many organizations don’t embed security into their regular operations. Legislation like GDPR has had to give companies a kick up the arse to get their act in order. Embedding security into organizations in a manner like described above for analytics, seems to me to be the next step. Estonia has shown you can segment data and add extra technical protections like the blockchain, and you don’t need to centralize the data even if to some extent you’re centralizing access. I predict the emphasis on security will grow and the companies which react organizationally rather than simply technologically will be the ones to thrive. How is it relevant to bureaucracy? Decentralized security efforts with specialists embedded into teams reduces approval flows and tackles the low-level leaks which make people scared of technology. We’ve covered loads of examples. We’ve touched on plenty of actionable steps. But I think my takeaway from it all is that company culture is a foundational issue. The study outlined by the London School of Economics at the beginning found that the biggest thing holding these organizations back was the culture in them. Large organizations should look at the cultures which exist in their workplaces and assess to what extent things need to change. Perhaps radical measures like giving staff sabbatical periods to do a year in a startup and come back with some new experiences to discuss could be a good thing? Or perhaps we’re just cheerleading the mythologized startup a little too hard. But large orgs need to change. They need to improve. The culture and assumptions look to be a good place to start. Do you work in a large bureaucratic organization? Do you feel personally victimized by this piece? How would you change the structures in your organization if given total control? 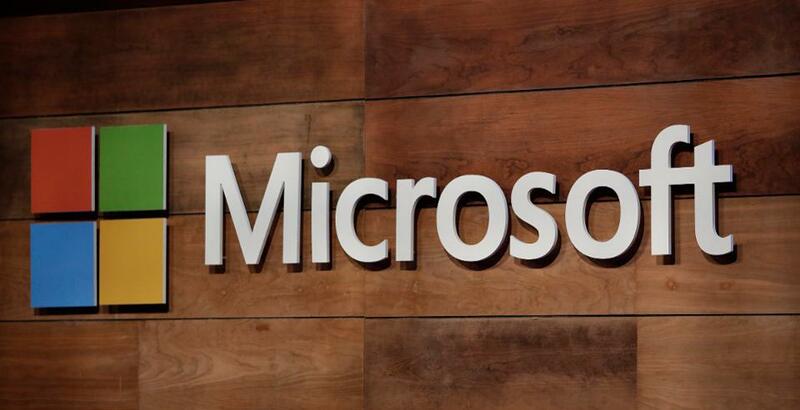 Biz Tips: Windows 7 Extended Support: Now is the Time to Take Action!